AFCO Distribution is a wholesale distribution company located in Spokane Valley, WA. AFCO serves over 800 Garden, Feed and Pet Supply retailers in Washington, Oregon, Idaho, Montana, Nevada, Utah, Wyoming and Alaska. AFCO distributes over 5,000 products including animal feeds, Garden and Nursery supplies, wildlife products, pet food and pet supplies, fencing and livestock equipment. Customers receive their order weekly within our routed territories. Delivery is provided by our fleet of company trucks from our 175,000 square foot warehouse. Order from Our All New Online Catalog! 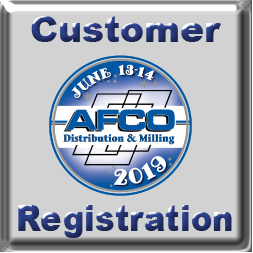 © 2019 AFCO Distribution & Milling. All Rights Reserved.